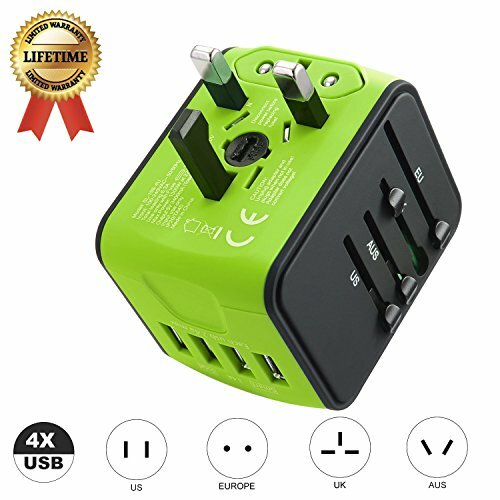 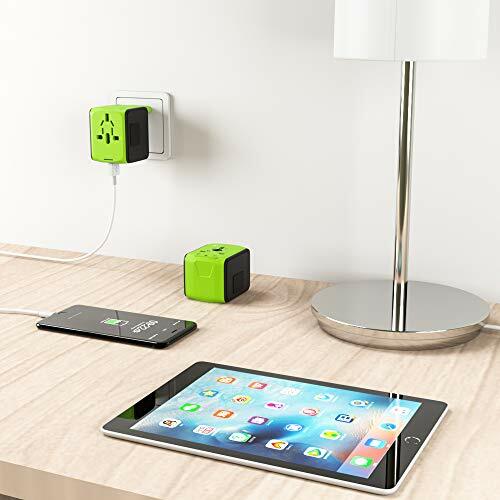 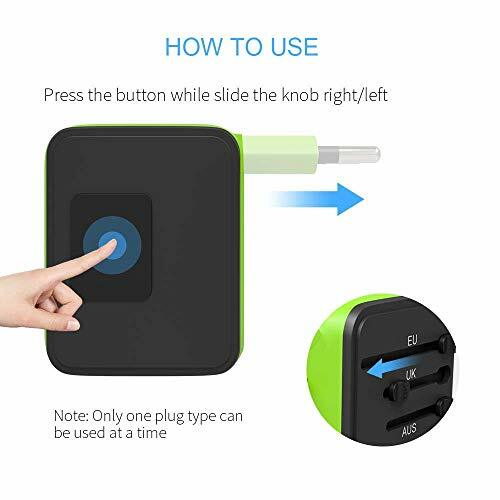 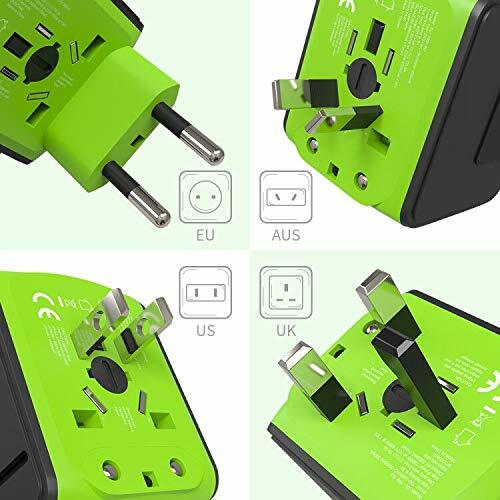 JMFONE International Tavel Power Adapter 4 USB Wall Charger Worldwide Travel Charger Universal AC Wall Outlet Plugs for US, EU, UK, AU 160 Countries (green)★INTERNATIONAL COMPATIBILITY – Travel adapter with US/EU/AU/UK plugs covers over 160 countries such as UK, Europe, Australia, USA, Italy, Japan, China, France, Africa, etc. 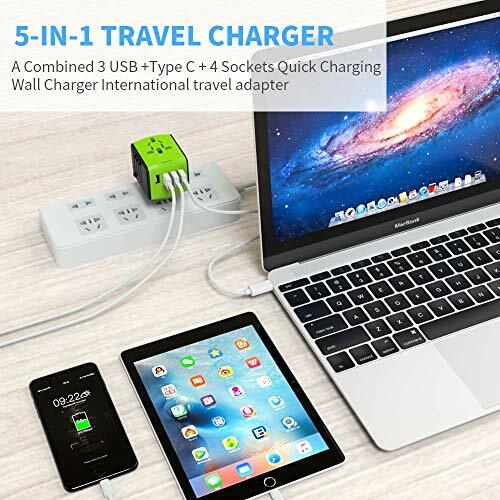 Small and lightweight, perfect for your worldwide travelling. 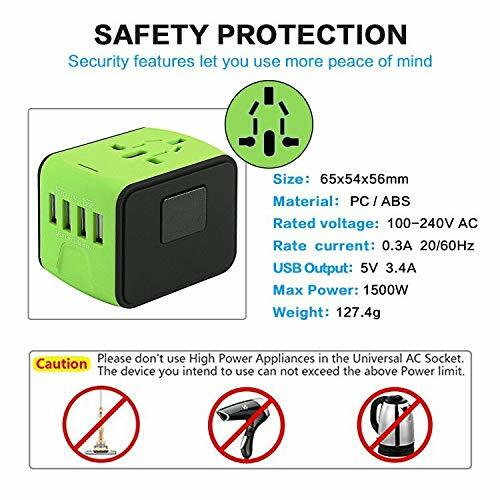 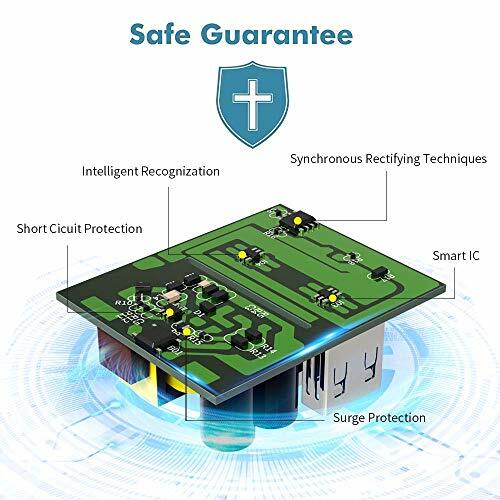 Note: IT DOES NOT CONVERT FROM 220V TO 110V OR VISE VERSA! 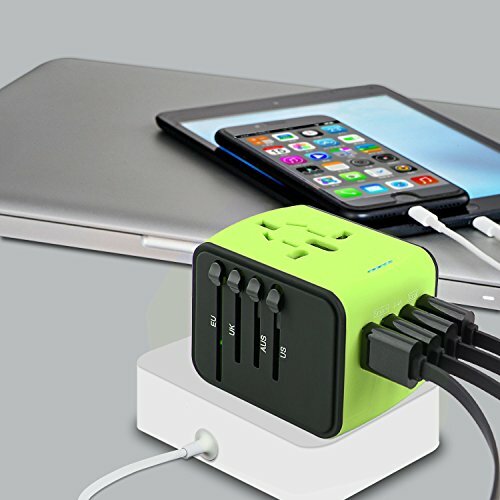 And PLEASE DON’T USE IT TO CHARGE THE DEVICES WHICH POWER IS HIGHER THAN 1500W!